The purr-fect look for a day out on the prowl! 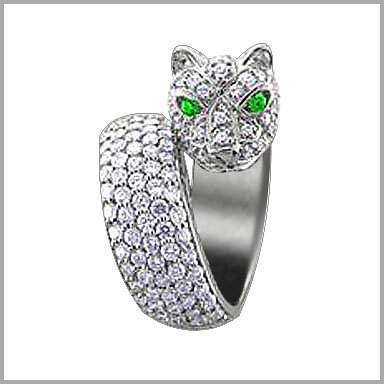 This fabulous feline ring is crafted in your choice of polished 18K white or yellow gold. It features 259 round full cut diamonds in pave settings. It also features two marquise cut tsavorite in bezel settings making up the eyes. The total diamond weight is 7.0725ct and the total emerald weight is 0.08ct (both approximate). The diamond color is G-H with a clarity of SI. 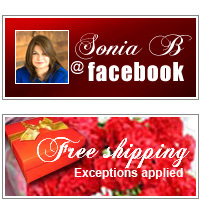 The setting size is 15/16" x 13/16" with a height of 9/16".